Nominations for the Community Service Awards are due by Friday, May 3. Thanks Ben and Wes Ochsendorf for being our first participants for our "Passion Into Action" Challenge! Learn more about one of our Volunteer Arlington Partners. Individuals and groups are invited to make a difference and show you care about Arlington County. Sign up to be a partner, post your opportunities, and let volunteers know how they can help. Show Arlington County and your employees your values by engaging in the community in which you live and work. Barbara Olivere, a professional storyteller and retired librarian and Evan Pollack, a professional musician, volunteer for Tunes & Tales at Central Library, using their skills to bring joy to children and families through storytelling and music. Barbara started volunteering for the library in the fall of 2017, helping their intergenerational program at the Arlington Mill Community Center called Seniors and Kids Together Storytime. After he sold his business building high-end homes in Connecticut and the Hamptons, Bill Marshall moved to Arlington in 2017 to join his wife. Getting antsy after a few months of retirement, Bill began searching for a new way to direct his energies. He learned about Rebuilding Together Arlington/Fairfax/Falls Church through Volunteer Arlington and started volunteering regularly on Rebuilding Together Express projects, in which small teams of skilled volunteers make health and safety repairs at no charge for low-income homeowners. Volunteer Arlington joins millions across the country and around the world in celebrating the life and legacy of President George H.W. 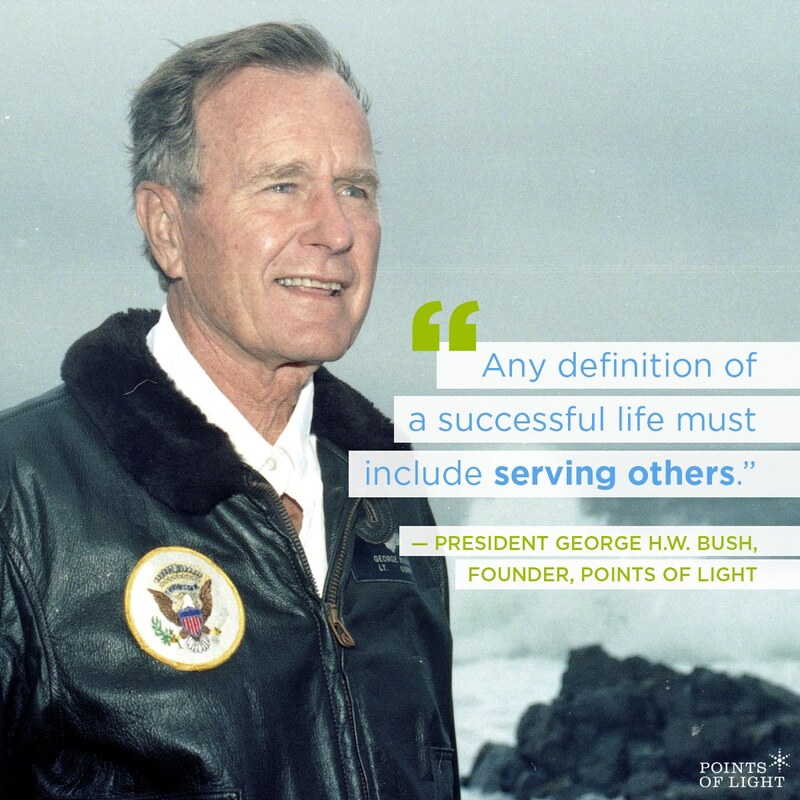 Bush, founder of Points of Light - the world's largest organization dedicated to volunteer service. As a member of the Poin ts of Light Network, Volunteer Arlington is proud to continue his legacy in our community, bringing to life his enduring belief in each individual's ability to create meaningful change.